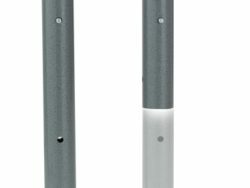 Ram Air’s T4-IHT with touchscreen control safely and quickly dries up to four sets of special-ops gear and accessories using ambient air. 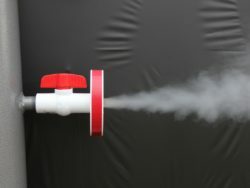 By allowing for inverted drying, the T4-IHT is able to dry hazmat, immersion and dry or wet suits for swiftwater, dive or ice rescues. 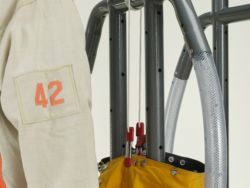 Ram Air special ops dryers quickly and efficiently dry personal protective equipment (PPE) that standard gear dryers cannot accommodate while still drying standard bunker gear and accessories. 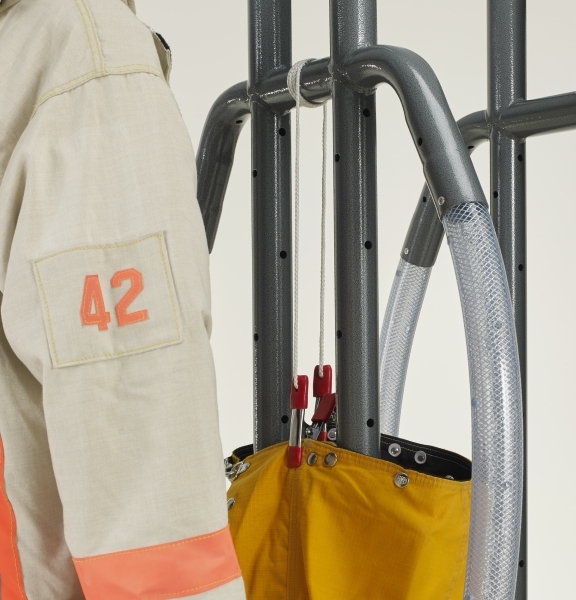 Adjustable to any size gear, the T4-IHT dries PPE without turning gear inside out and causing damage to the gear. 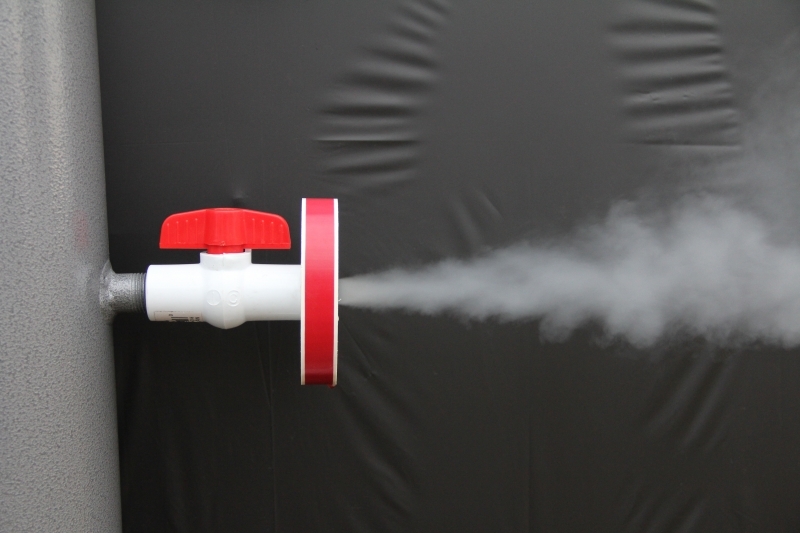 Gone are the days of hosing down gear and waiting days for it to dry. 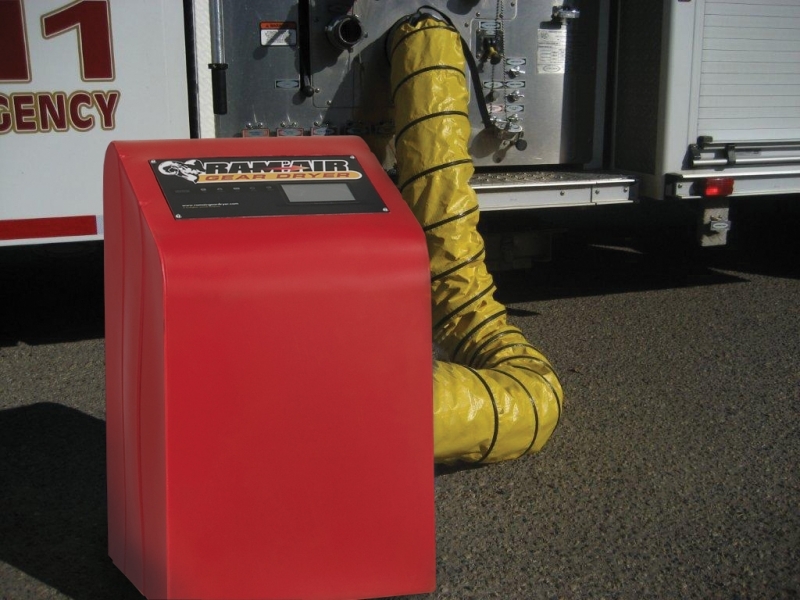 With Ram Air’s immersion/hazmat/dive or ice rescue/turnout gear dryers you can rest assured that your gear will be back in action fast! 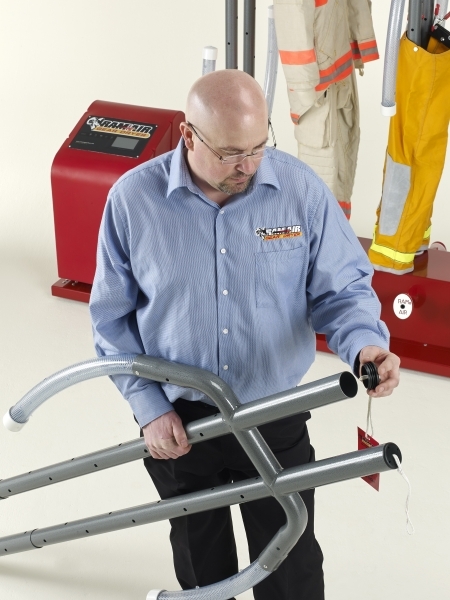 Gear designed for special emergencies can be large and awkward to handle. 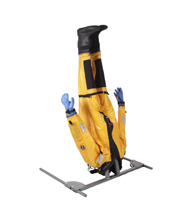 Ram Air can accommodate the unique sizes of hazmat, immersion and dry or wet suits for swiftwater, ice and dive rescues. 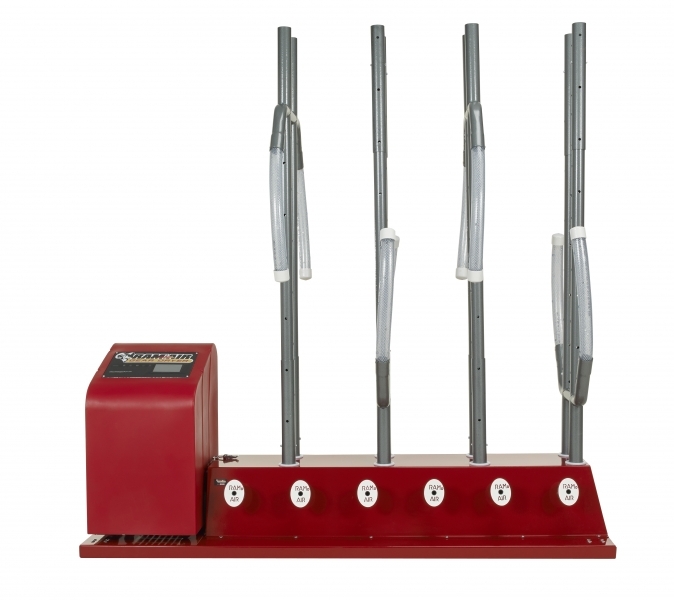 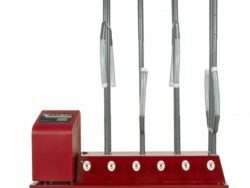 Each of the machine’s four drying positions features adjustable height stickmen to that can be shortened or extended based on the size of the garment. 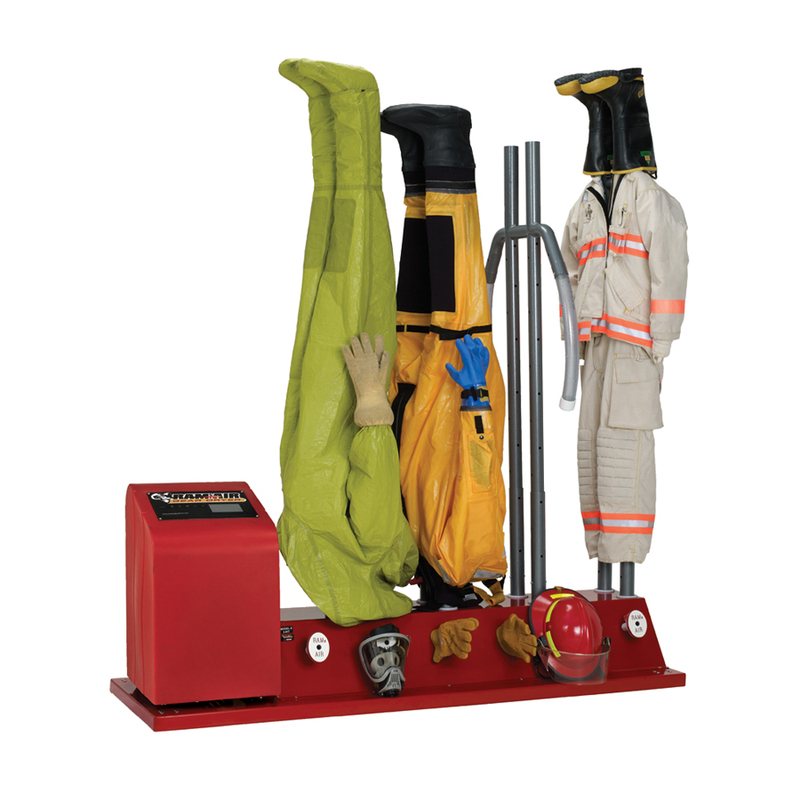 Survival suits, immersion suits or gumby suits— whatever name you give them, Ram Air PPE dryers will dry them! Since Ram Air’s T4-IHT models operate using ambient air, manufacturer’s warranties remain intact and the units comply with NFPA 1851/FEMSA recommendations for drying gear. 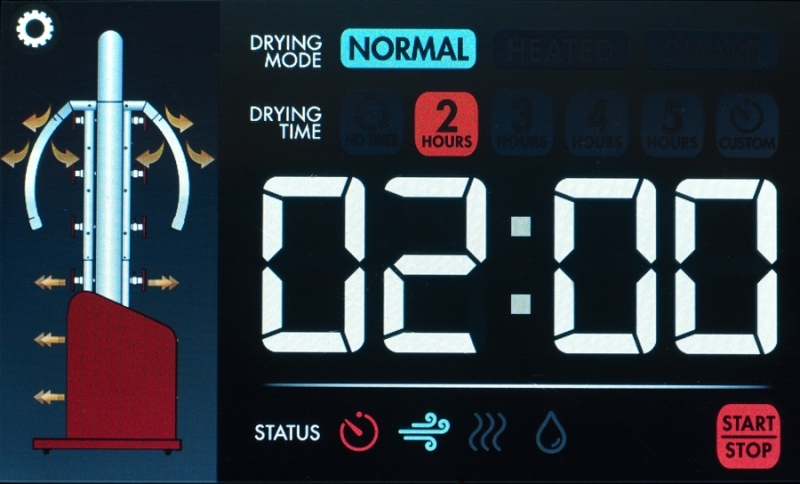 A touch screen control on Ram Air T4-IHT gear dryers gives users immediate visual access to the drying status/dry time remaining and personalized control of dry time/temperature through customized settings. 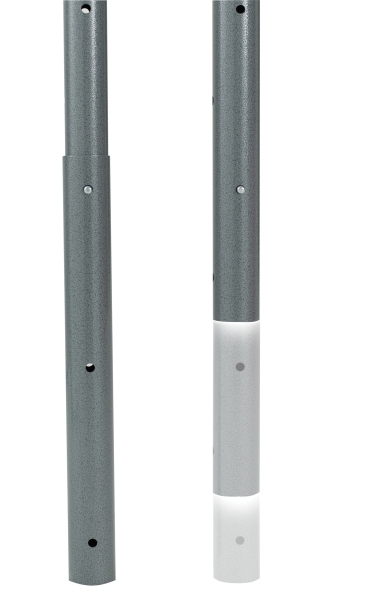 The control features a simple user interface with clearly defined icons. 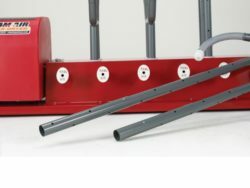 Users can select one of the five drying time presets including a continuous drying option, or they can choose the custom timer option–a feature that allows users to select a custom dry time based on their department’s unique drying needs. 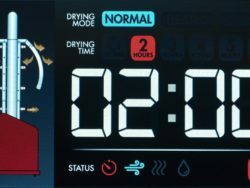 When the dryer is in use, the screen clear displays the drying status using a series of easy-to-understand icons and a timer countdown keeps users abreast of dry time remaining–even at a glance. 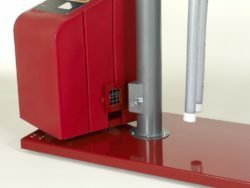 The touch screen is extremely durable with a smooth flat screen that is easy to clean. 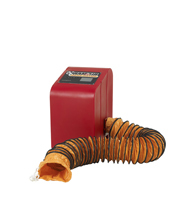 Working in dry boots, gloves, face masks and SCBA’s makes doing your job safer and more comfortable. 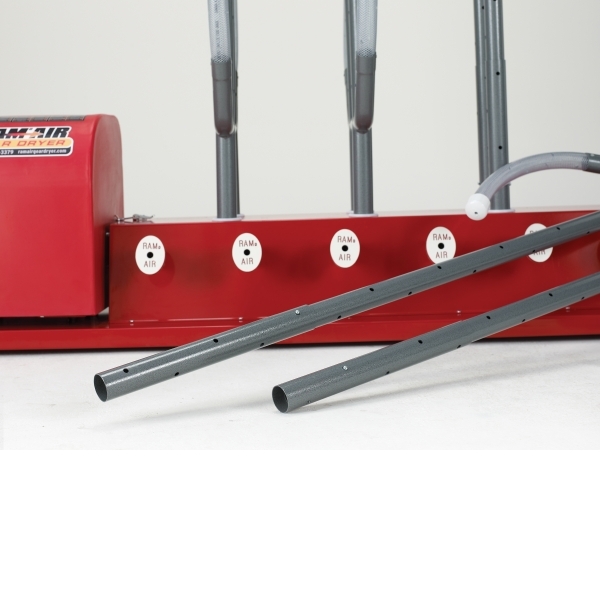 Ram Air’s T4-IHT models feature 12 component ports for safely and quickly drying all gear accessories. 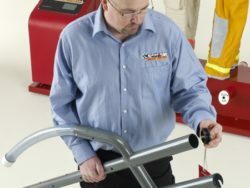 Providing top-quality products is our top priority. 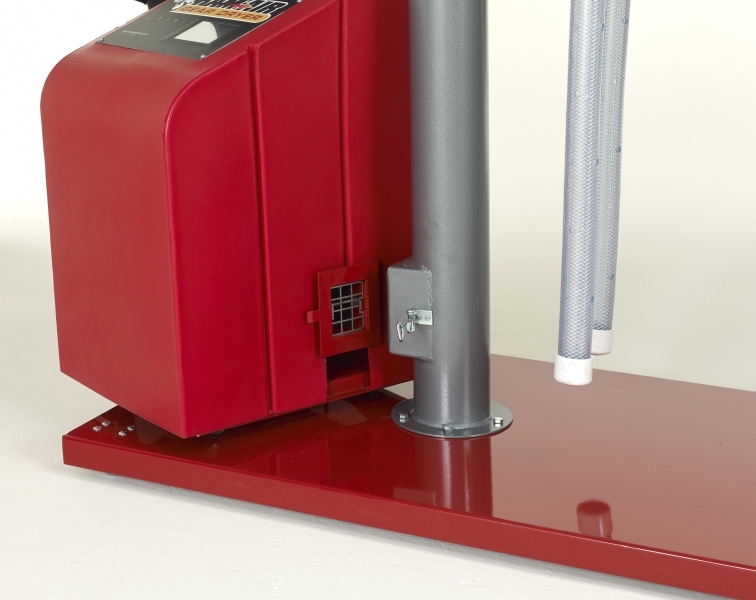 Heavy-duty casters provide mobility for the unit; top-quality steel construction of the frame and air passages ensure that Ram Air gear PPE dryers are built to last; and a LED timer with automatic shut-off provides easy, efficient drying. 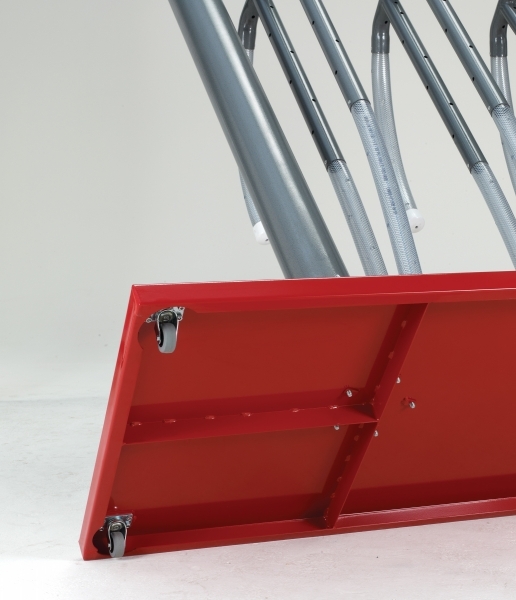 We don’t just stand by our products, we guarantee them for a full two years! 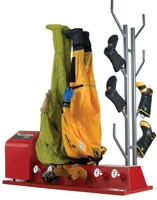 Ram Air’s Boot Drying Tree for T4-IHT Dryers enables drying of eight boots per accessory. 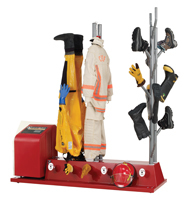 Ram Air’s ADT-14 Accessory Drying Tree for T4-IHT dryers allows for drying of up to 14 boots, station footwear and gloves per accessory. 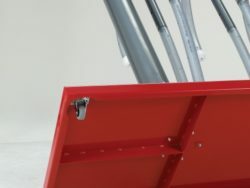 Ram Air’s removable blowers can be attached to your pumper truck’s water ports for quick drying – preventing freeze-ups in harsh winter conditions.